Jordan and I have been eating a mostly meatless diet for the past month or so. 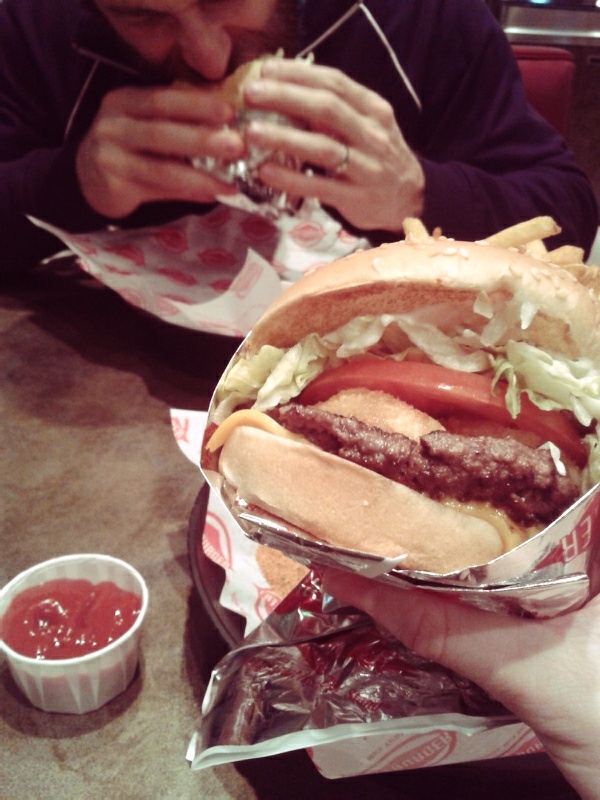 Because of this, we decided the other night that we were both in need of some red meat and went for burgers :). Neither of us felt great afterwards, so I think we'll be good without meat for another few months..until the next craving hits ;). carol gourley March 8, 2013 at 8:42 p.m.